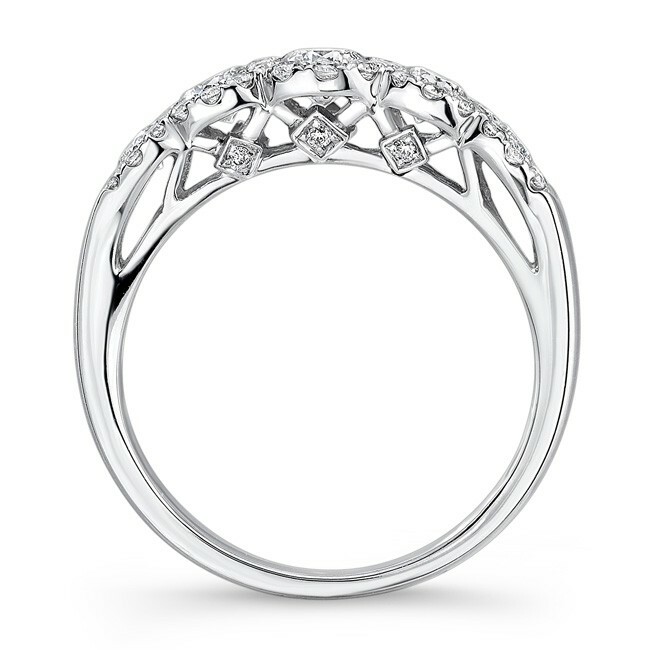 This exquisite Coby Madison diamond ring is set in 14K white gold with five halo sections graduating from larger center to smaller diamonds closer to the shank.Set with a total of fifty-nine diamonds for one carat total weight. 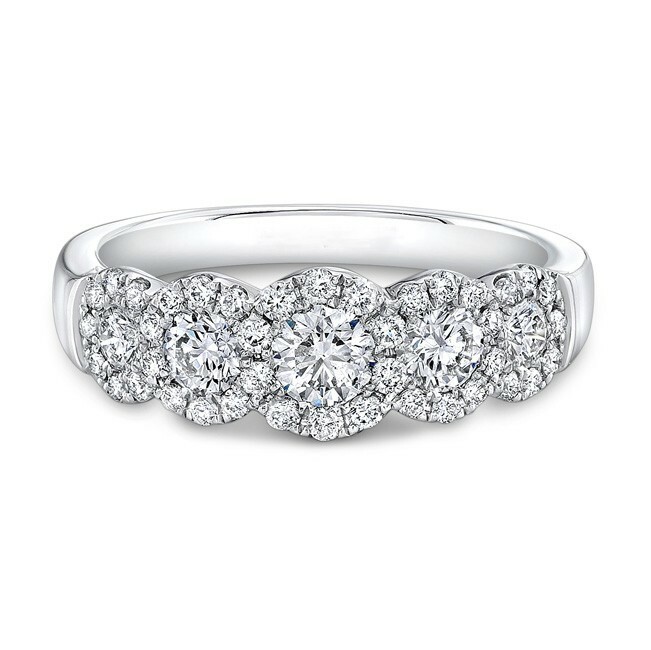 Delicate detail to profile is set with six diamonds. 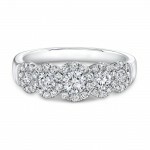 Perfect for wedding ring, anniversary band or that beautiful right hand ring you've always wanted.